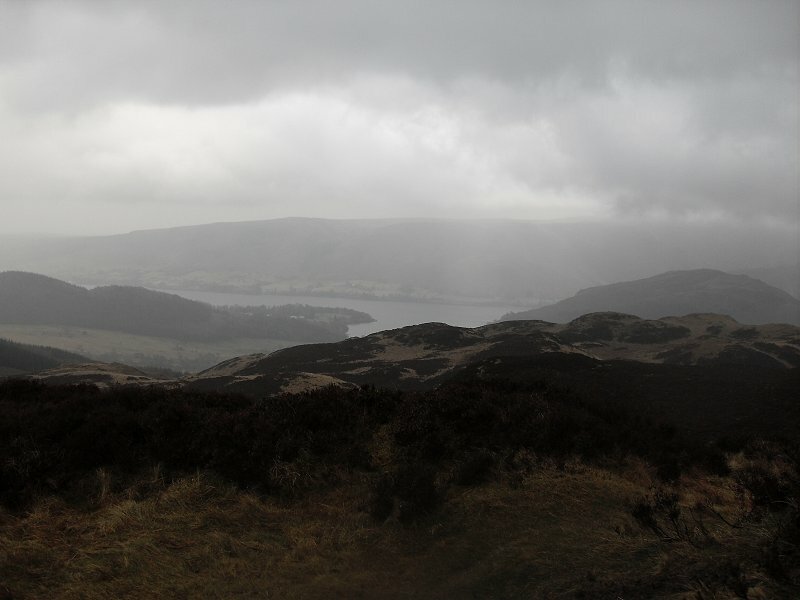 I had not been able to get on to the fells for three weeks so although the weather forecast was not brilliant I was determined to have a decent walk, so I loaded up the tent and set off from Glenridding. 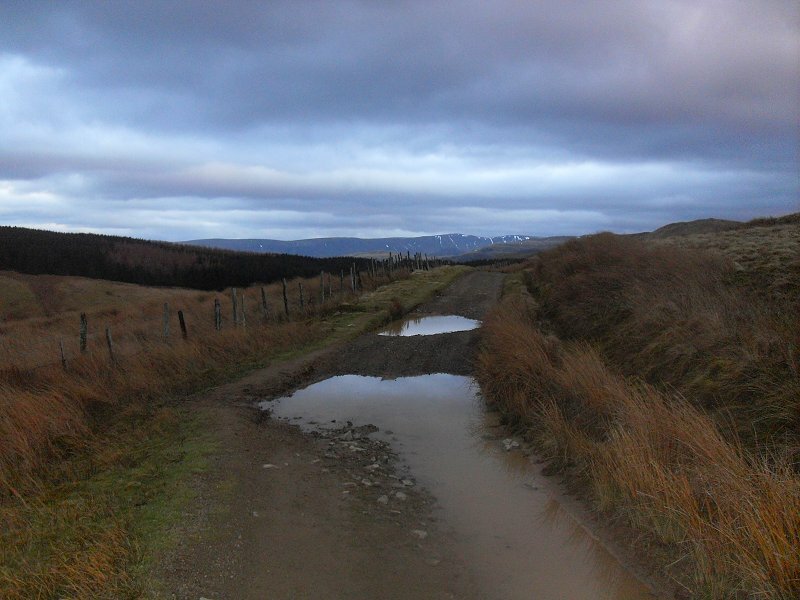 Looking back down Greenside road with the High Street ridge in the far distance. 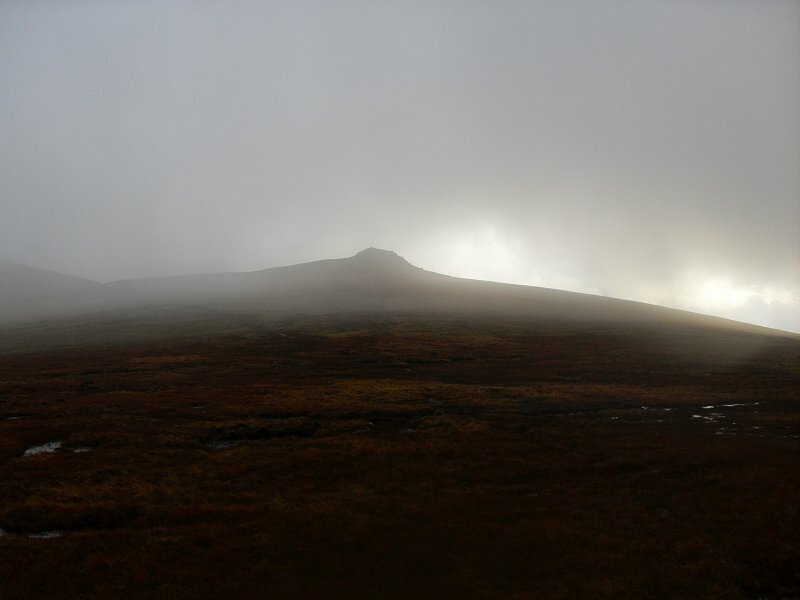 The cloud was down to about 2000 ft so I did not see much and had to concentrate on my navigation. the temperature plummeted as I reached White side and I was so busy pulling on layers that I forgot to take a 'photo. 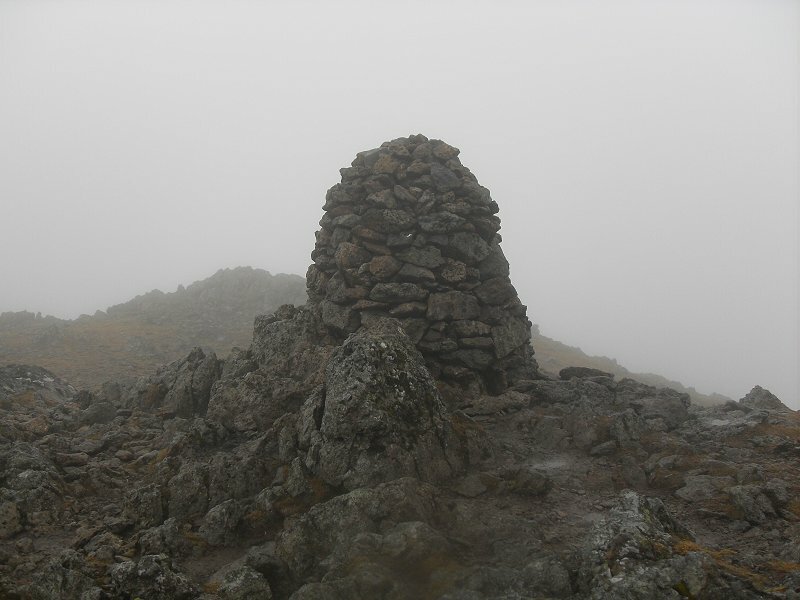 Here is the cairn on Raise. 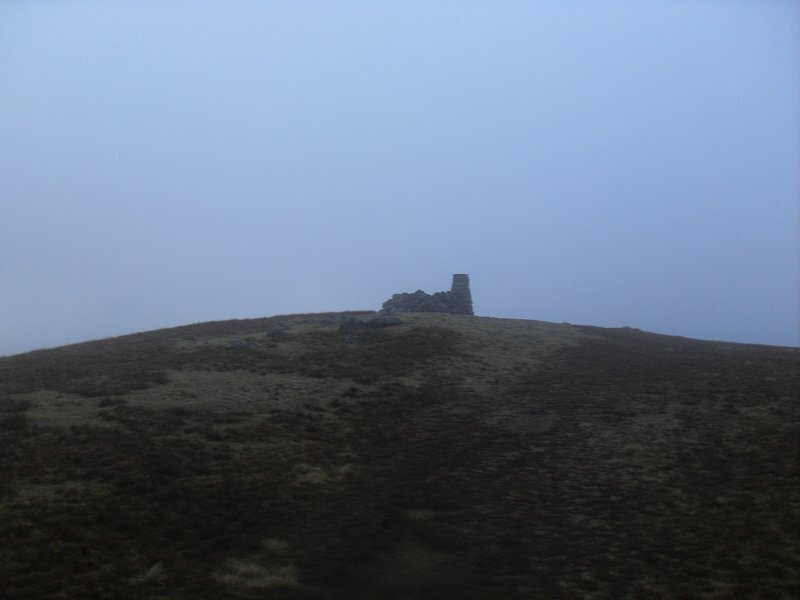 Still in the mist at Stybarrow Dodd. 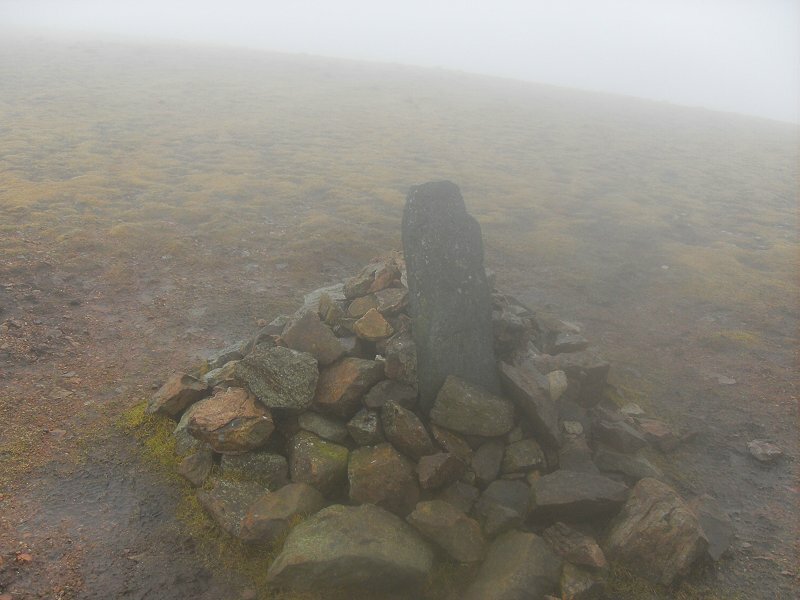 The weather then really deteriorated with strong wind and driving rain so I buttoned up and marched along the ridge to Calfhow Pike where things improved and I got intermittent views. Here Keswick and Dodd are clear of cloud. Looking back up to Calfhow Pike from the path to Clough head. 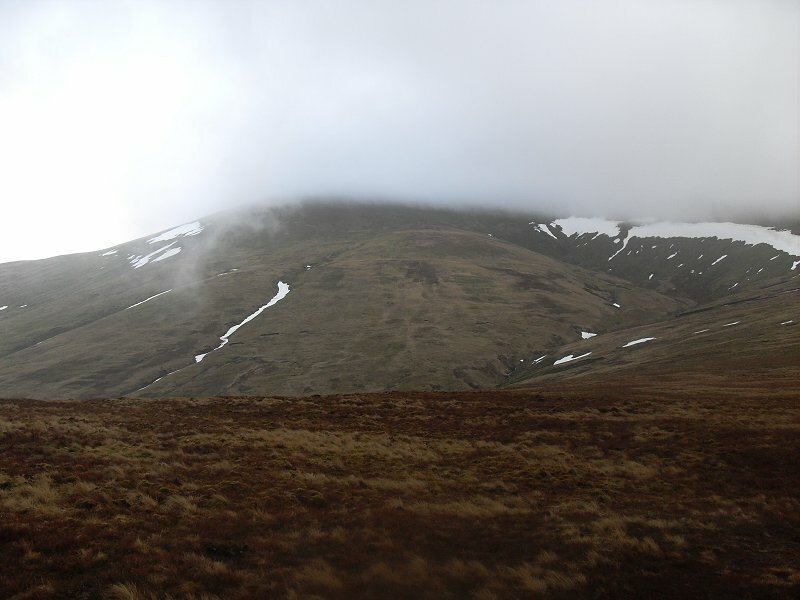 Great Dodd still in cloud. 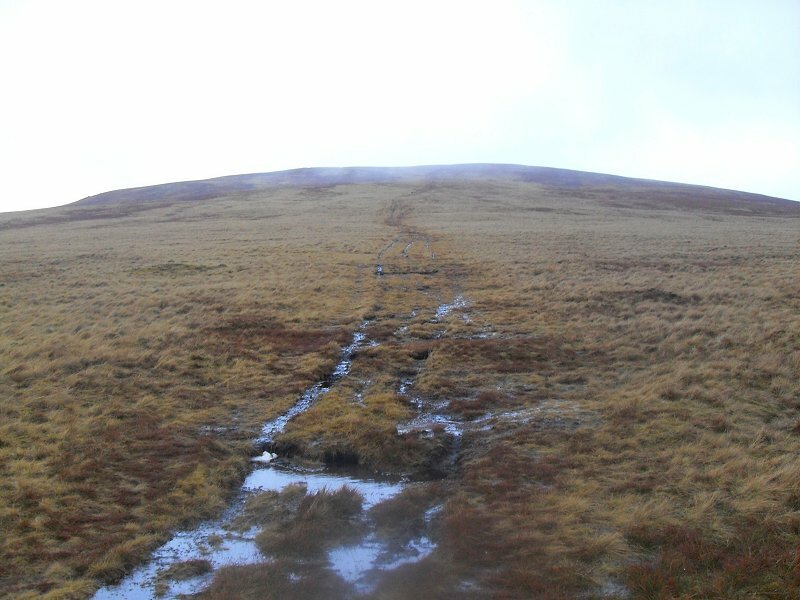 Clough Head comes into view. 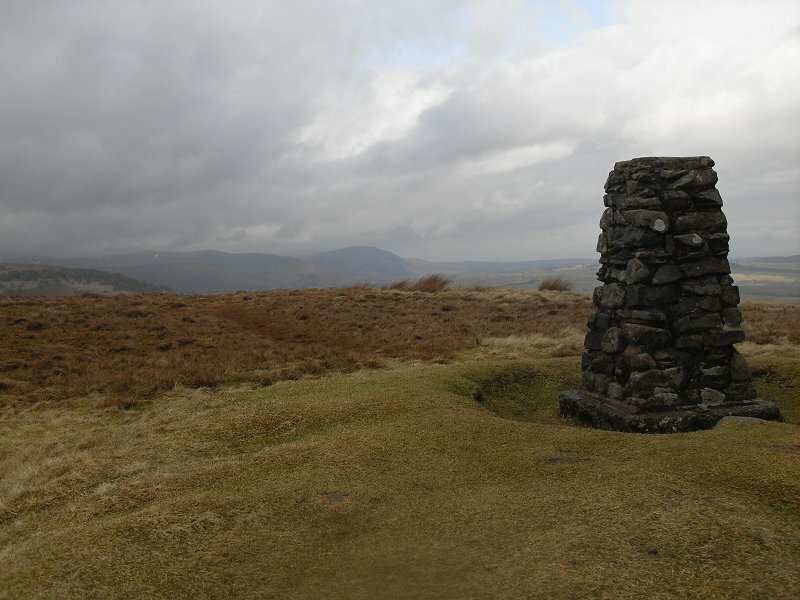 The trig point and shelter on Clough head. 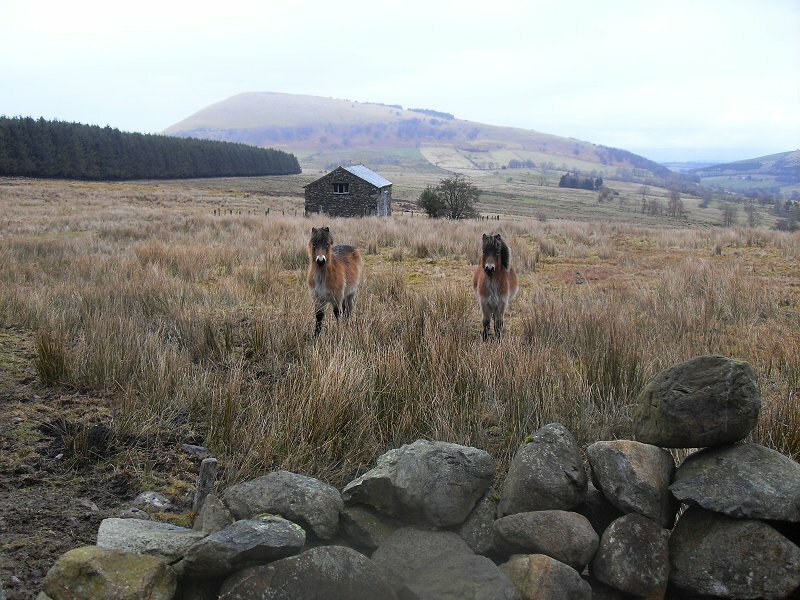 The view really opens out on the eastern side of Clough Head. 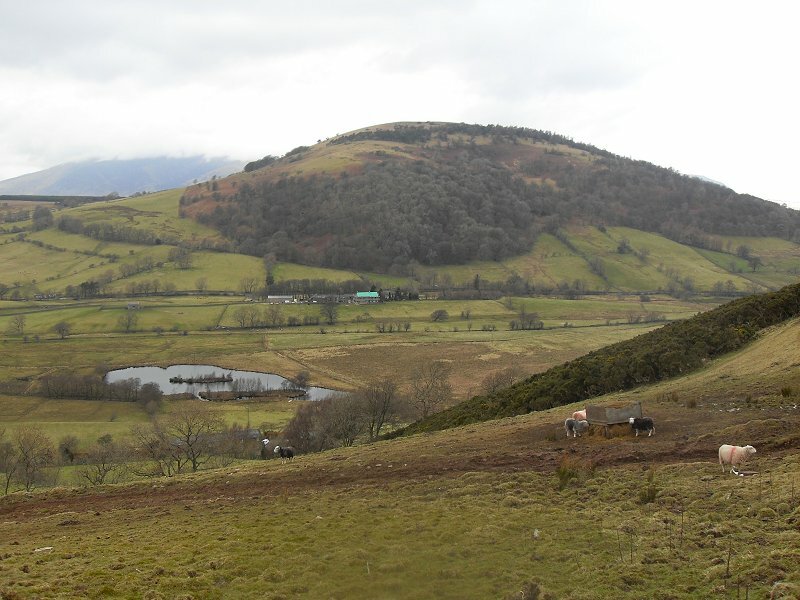 Great and Little Mell fells come into view but they will have to wait 'till tomorrow. 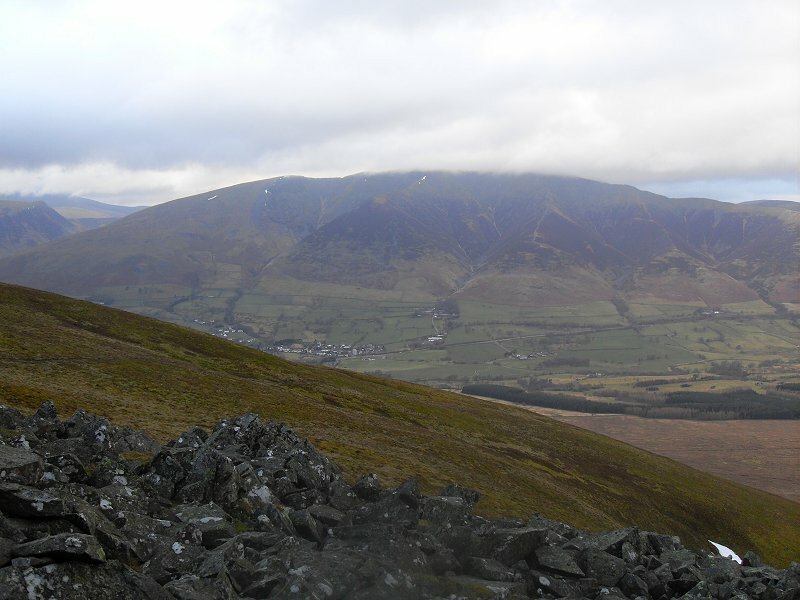 Blencathra from the rocky outcrop of White Pike. 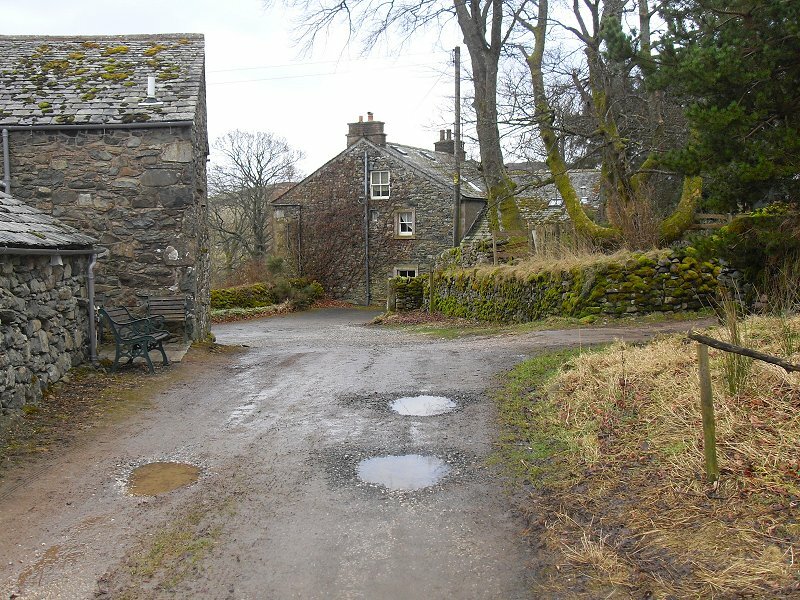 To rent - Holiday cottage just of the Old Coach Road. 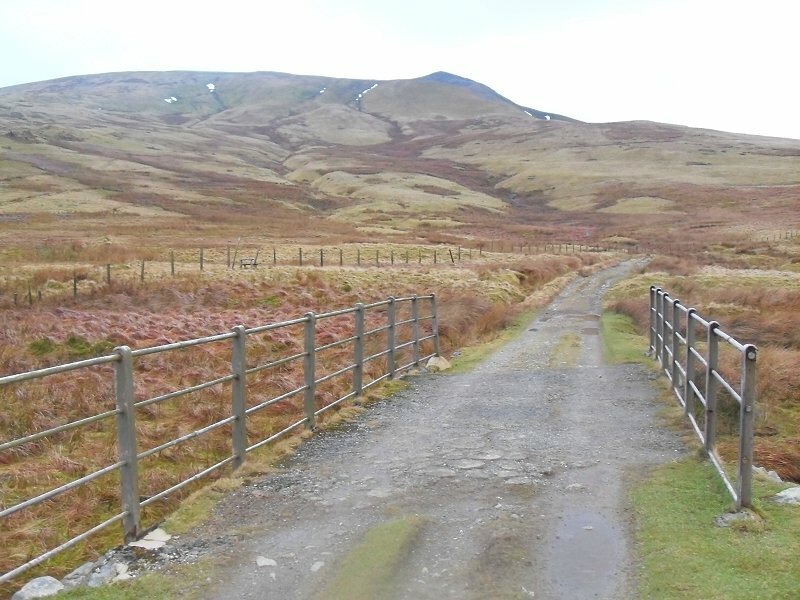 Looking back up to White Pike from Mariel bridge on the Old Coach Road. Easy walking along the Old Coach Road so I decided to push on before pitching for the night. the northern end of the high Street ridge appear over the horizon. 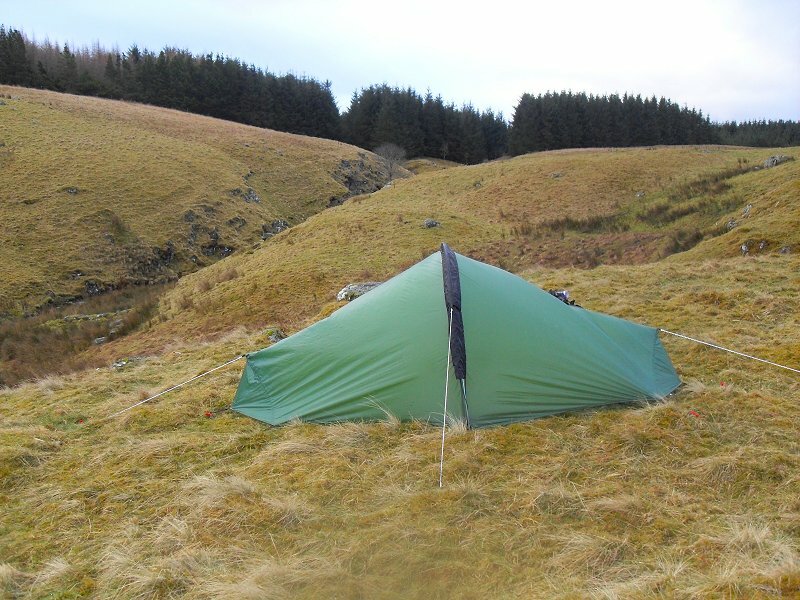 My pitch at Hazelhow End. I got lucky again with the weather, I pitched in fine still conditions and although it rained in the night it was dry and calm when it was time to pack up..
Great Mell fell and a couple of locals. 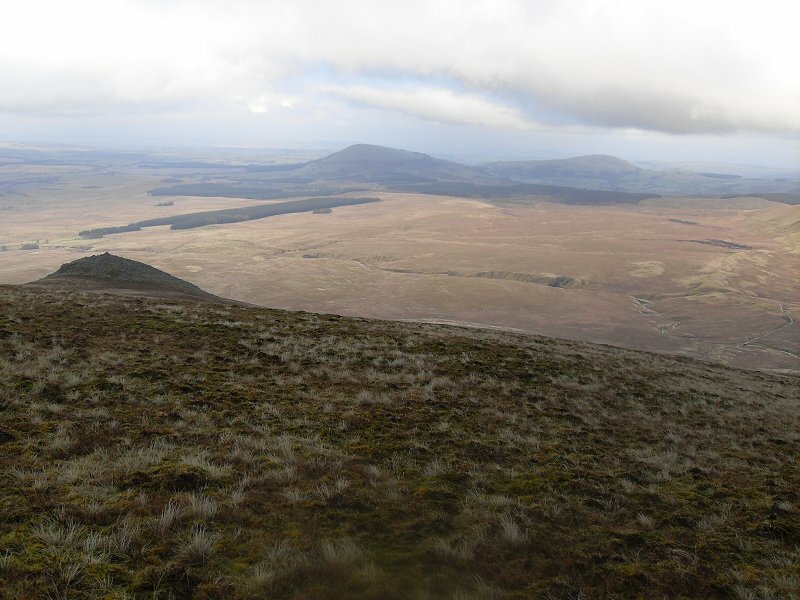 The Eastern Fells ridge from the climb up Great Mell fell. My campsite was just over the brow behind the wedge of forest on the left. 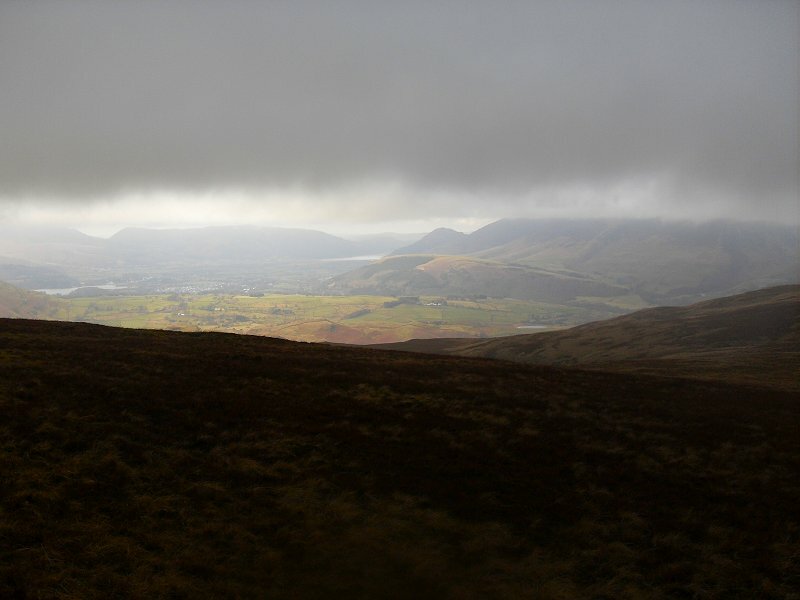 Great Mell Fell from Little Mell Fell. 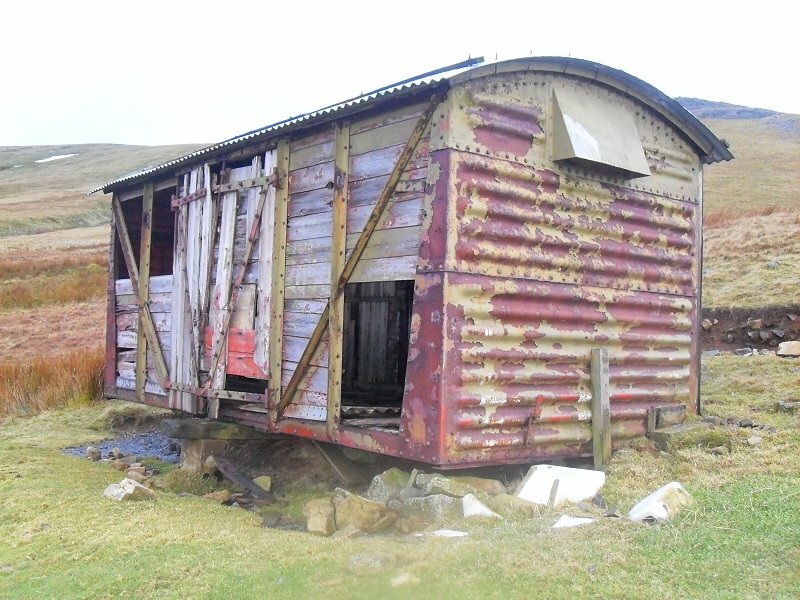 Brownrigg farm looks like it's getting a new roof. 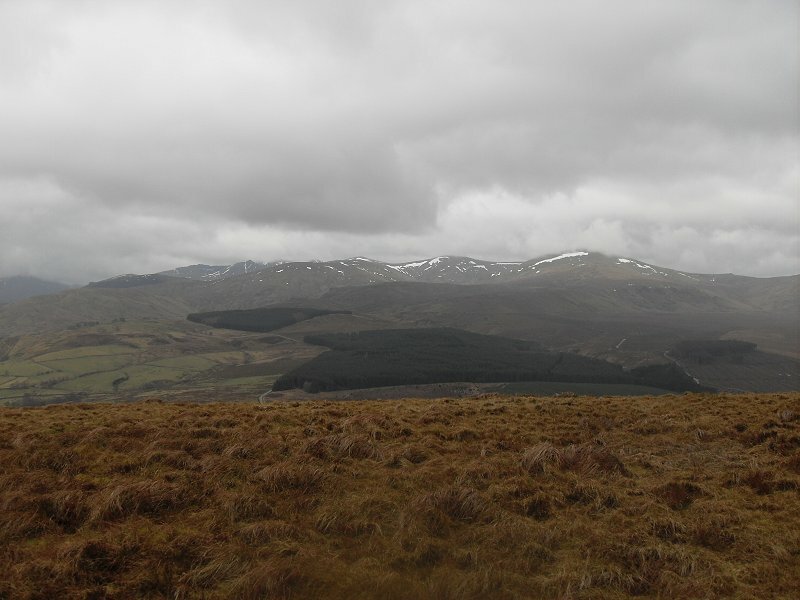 Looking over to Carrock fell from the top of Little Mell Fell. The fine weather had gone now and a cold rain began to fall. Ullswater from the top of Gowbarrow Fell. The rain was really coming down now. 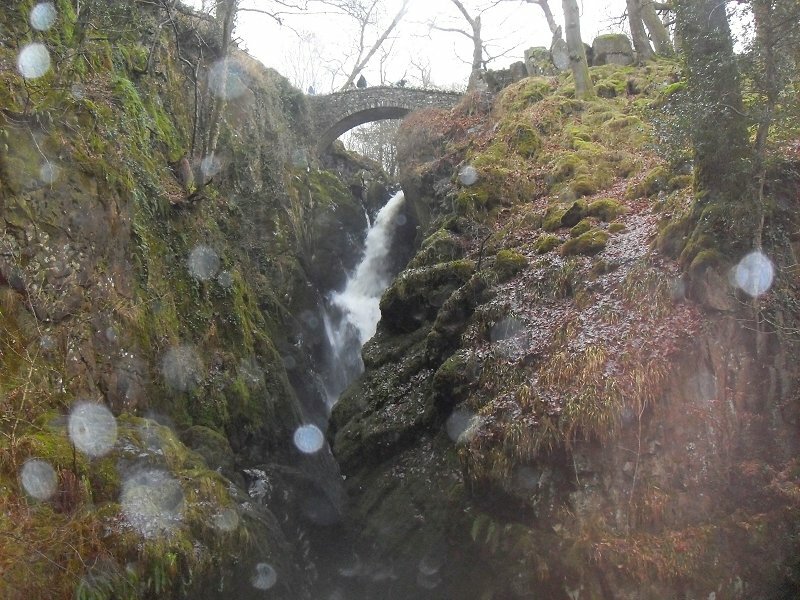 Aira Force. as you can see it was still raining. 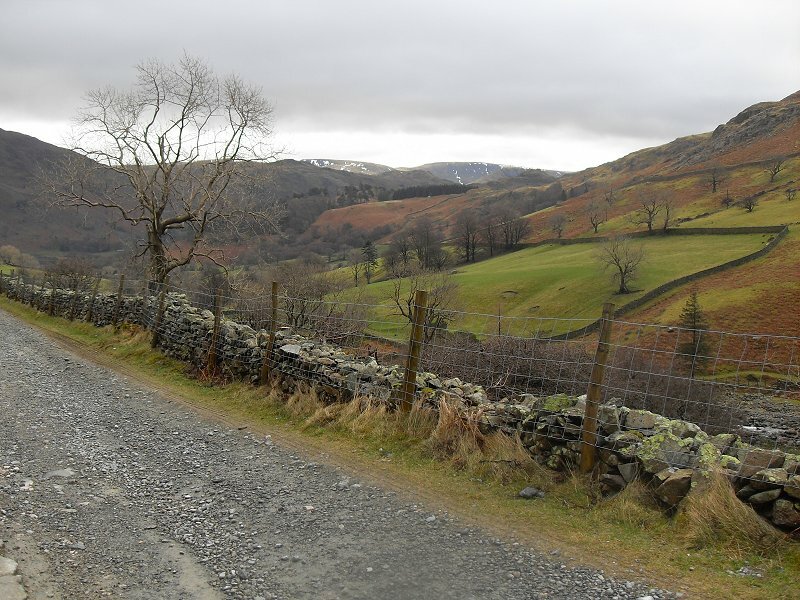 I made my way down to the road then back to Glenridding. This was the hardest part of the walk, my feet were killing me and I was really tired, My GPS said the route was 26 miles and about 5500 feet of accent and I think that's just about my limit..